The German national final was held on March 21st at the Friedrichstadtpalast in Berlin, hosted by Hape Kerkeling. The winner was chosen by 1000 people who were telephoned by German TV to vote on the songs. 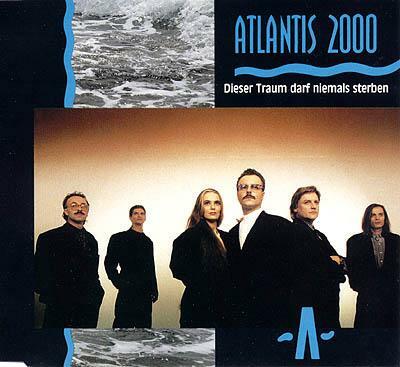 The winner was the band Atlantis 2000 with the song Dieser Traum darf niemals sterben composed by Helmut Frey with lyrics by Alfons Weindof. The choice of Dieser Traum darf niemals sterben was widely criticised, as many felt that not only was the song itself not particularly strong, but that also the anthemic 'peace, love and hope for the future' style of the song was at the time becoming something of a Eurovision cliché (the 1990 contest had seen a plethora of such lyrically-themed entries). On the night of the final Atlantis 2000 performed 17th in the running order. At the close of voting Dieser Traum darf niemals sterben had received only 10 points , placing Germany 18th of the 22 entries. Atlantis 2000 had been set up specifically to participate at Eurovision and following the bad result in Rome, and the song's failure to achieve significant sales success in Germany, they disbanded soon after. Atlantis 2000 consisted of: Alfons Weindorf, Jutta Niedhardt, Helmut Frey, Eberhard Wilhelm, Klaus Pröpper and Clemens Weindorf.